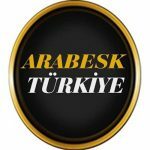 Arabesk Turkiye live broadcasting from Turkey. It is one of the most famous online radio station on Turkey. Arabesk Turkiye is a web radio broadcast over the Internet. Longing Media Group continues its publication Radiation Plus brand in the body. Arabesque songs of the 2000s are met by the audience throughout the day.